OptiKits! construct a complete building the fast and easy way. Buy one of our pole building packages and save time and money. OptiKits! 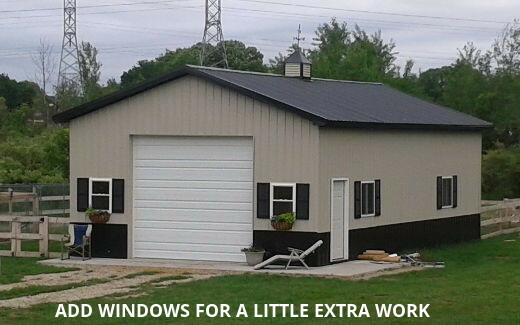 are available in many areas installed by APB including installation of all doors, windows, cupolas, and other options. Concrete slabs and wood floors are available as well. 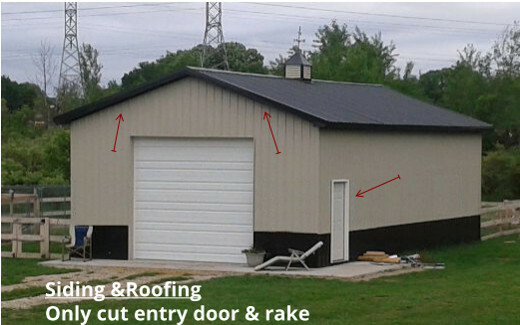 Our pole barn prices include everything except permitting fees, trash removal, and site leveling. After selecting your kit please contact us for an installed quote. OptiKits! are pole building packages designed to require less work to build. Size changes on large openings and placement of additional doors may impact the optimized nature of OptiKit pole building packages. Pole barn prices online are for delivered kits. Email us for installed building quotations.